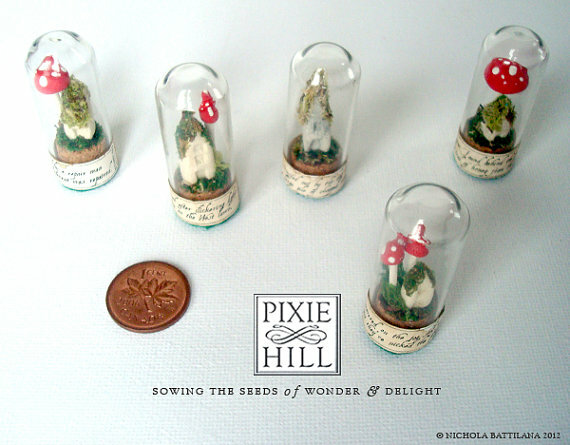 Pixie Hill Studio at Etsy makes Pixie stuff and it is fantastic. 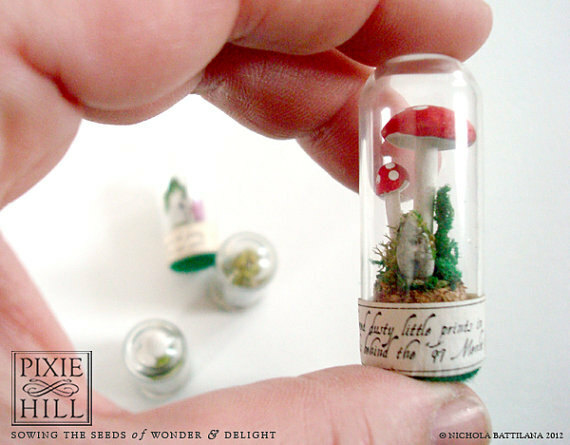 "Being that some people are quite silly and refuse to believe in the existence of faerie folk I have decided to start collecting specimens from around Pixie Hill Studio. " No. 019.12 - Found by the husband in the workshop. He's quite concerned they'll use his tools! They came carefully wrapped in little individual boxes with fun extras. I put the shipping box on the counter and, of course, the big puppies dragged to the floor. Fortunately, I found each specimen in the shredded cardboard. I loved these so much I had to buy two more.